The betting with the biggest amount of gain is the multiple bet. However, this is the less used bet., because it has decreased winning chances. 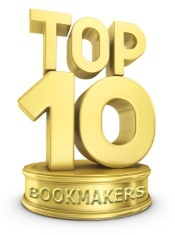 The bookmakers offer you a variety of bets that are easier to make profit of. Trixie is a bet made of 4 bets, containing 3 selections of different events, 3 double bet and one triple bet. Only two winning selection guarantees you profit. Patent is made out of 7 bets, which contain 3 selections of different events, 3 solo bets and three doubles and a triple. Giving the fact that it contains solo bets, only a winning selection will guarantee you profit. Yankee is made out of 11 different bets, with 4 selections on different events, 6 doubles, 4 triples and a simple bet with 4 selections. Super Yankee is has 26 bets, of 5 selections on different events, 10 doubles, 10 triples, 5 bets with 4 selections and a bet with 4 selections. Two selections guarantee your win. Lucky 15 is made of 15 bets, with 4 selections from different events, 4 solos, 6 doubles, 4 triples and a bet with the 4 selections. Lucky 31 has 31 bets, of 5 different selections, 5 simple bets, 10 doubles, 10 triples, 5 bets with 4 selections and one with 5 selections. Heinz is an unique bet of 57 bets, with 6 selections from different events, 15 doubles, 20 triple bets, 15 bets of 4 selections, 6 with 5 and one bet of 6 selections. Super Heinz is made out of 120 bets, with 7 selections on different events, 21 doubles, 35 triples, 35 bets of 4 selections, 21 with 5, 7 bets with 6 selections and one with 8. Goliath has no less than 247 bets, with 8 selections from diverse events, 21 doubles, 35 triples, 35 bets of 4 selections, 21 bets of 5, 7 of 6 selections and only one bet of 8 selections. Block contains 9, 10, 11, 12 selections, including all the possible combinations of double, triples, with many selections. Trifecta is a bet that has 4 selections from the same race, where you have to predict the occupants of the places: 1, 2, 3, in the right order.